We had a lot of video captured during this mission. 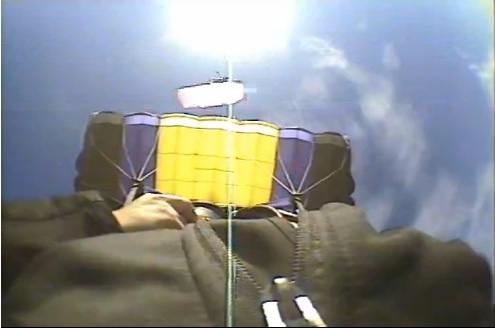 Michael Gregg, KF6WRW did am amazing job pulling his helmet cam together. Michael Wright, K6MFW, was there with 2 cameras. Jim McCarthy, K6BBA, took a lot of video around Pacificon. Mark Meltzer, AF6IM, was interviewed by Leo Laporte, W6TWT. Michael spent months working on how to get video from the sky to the ground. 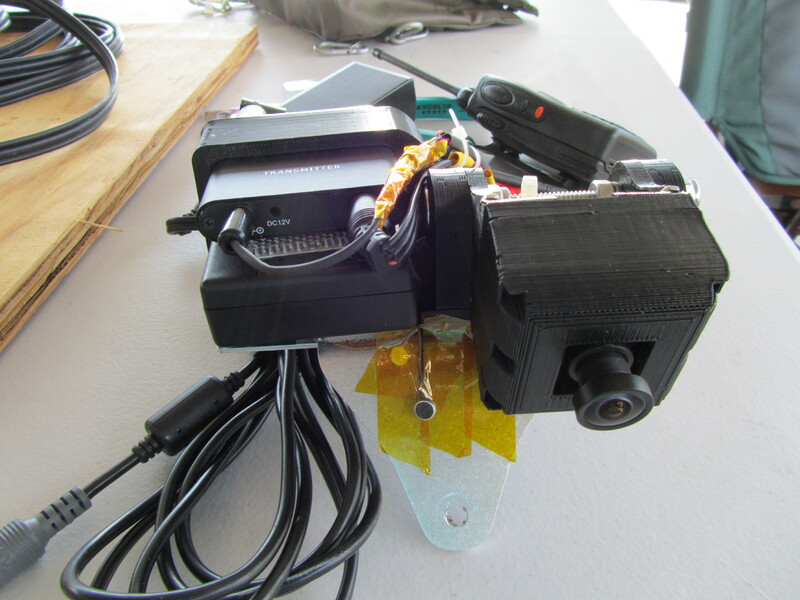 He wound up with a small camera he mounted to his helmet using a custom bracket and a part made on a Markerbot 3D printer. 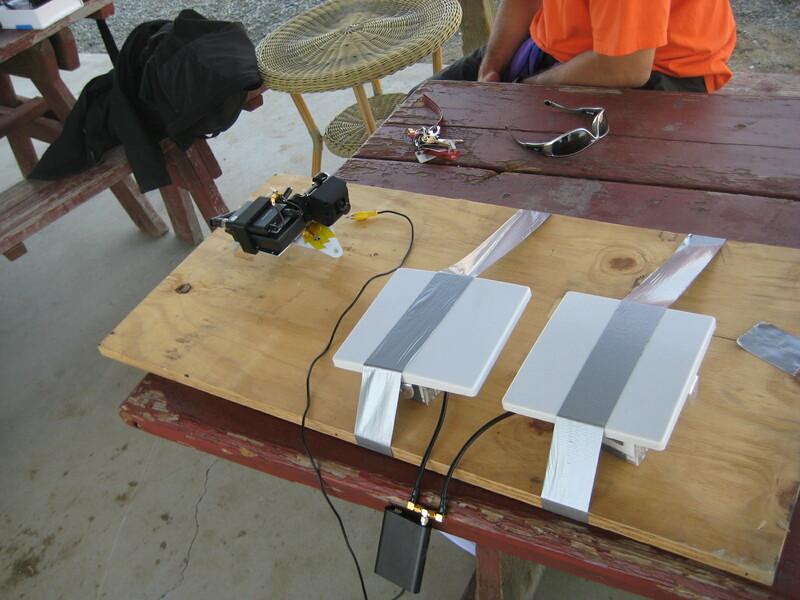 He ran the video cable down to his foot where he had a 2W 2.4Ghz transmitter. He then had 2 patch panels antennas connected to the receiver. The dual patch panel was an idea from a co-worker of mine Antonio Forenza, KE5MRG. Michael Wright, K6MFW, took a series of screen shots from Michael Greggs’s video. Michael also did some screen captures from his videos show the setup at the drop zone.